Spent the evening at Bo's Coffee in Tomas Morato to participate in the bloggers night for NAKAKALOKAL, a benefit concert of singer and composer par excellance Ogie Alcasid for World Vision and their projects against child exploitation, a very noble cause. 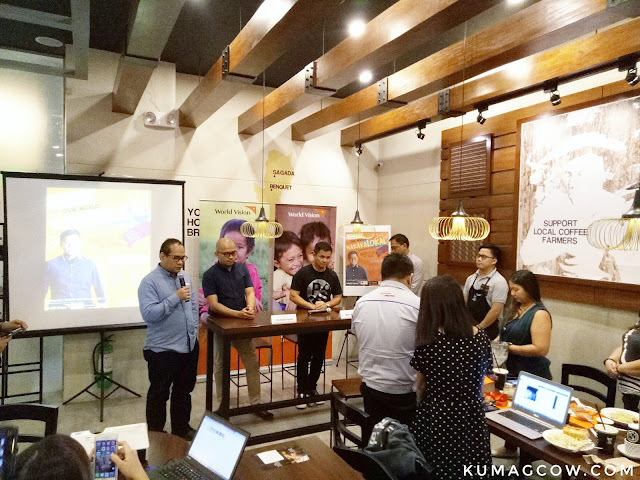 Jun Godornes the Resource Development Director of World Vision Philippines says "We are doing this again because we believe you are the future. We want you to know how World Vision and this concert has aligned for the kids we are helping. We are commited to a better world for children, for education and their lives. We work alongside partners and donors to provide for communities, helping kids to reach their potential and live their dreams. We also give parents the chance to support their income so they could provide their families, become resilient in future disasters. 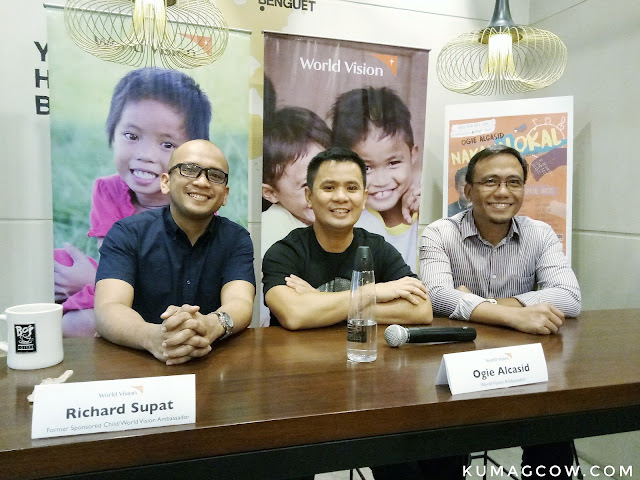 Thank you to Mr. Ogie Alcasid our World Vision Ambassador." 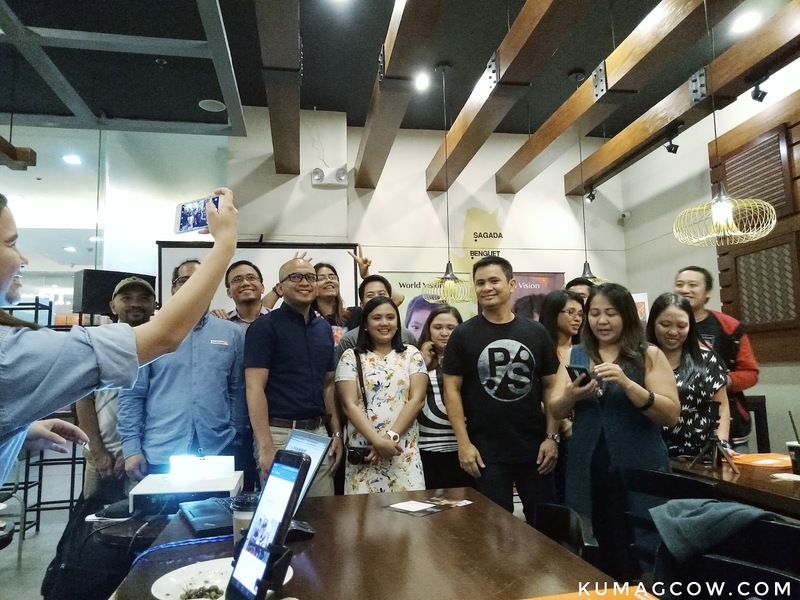 Ogie Alcasid says "I'm turning 50, this is called Nakakalokal because it's the title of my album done with the ABSCBN Philharmonic Orchestra (already available in record bars and digital stores). The Philippines is known for great singers, and we are a talent pool of great songwriters, this is our way of saying thank you. There is great music being produced here, and we are proud of that. We have been working with World Vision as they celebrate their 60th anniversary. We believe the in the youth, to hopefully start their success with music, thank you to World Vision for giving us an opportunity to help. I have been a witness about how they are as an organization and if there is an opportunity to help, every minute with them, I don't bat an eyelash. We will have a lot of artists working with us as guests in the concert and they all said yes. You will see Angeline Quinto, Basti Artadi, Davey Langit, Erik Santos, Inigo Pascual, Jaya, Kyla, Lara Maigue, Leila Alcasid, Lovi Poe, Men and Music, and Ms. Yeng Constantino. All the proceeds of this concert will go to a fund designed to help in the cause for the prevention of exploitation of children. I hope you help us with the sale of tickets for this show (even though it is selling quite good he adds). I have been part of them for years, it's never been formal in an event until now. We all did it by heart, and I got invited to Zambales and met indigenous people and fell in love with them. They didn't know me, some of them do from the Bonux commercial (and laughed) and it was so heartwarming. They made musical instruments from tree branches and played it with so much gusto and it was entertaining. I had the chance to come back so I sent them some speakers for their sound system. When I arrived, they were ready. 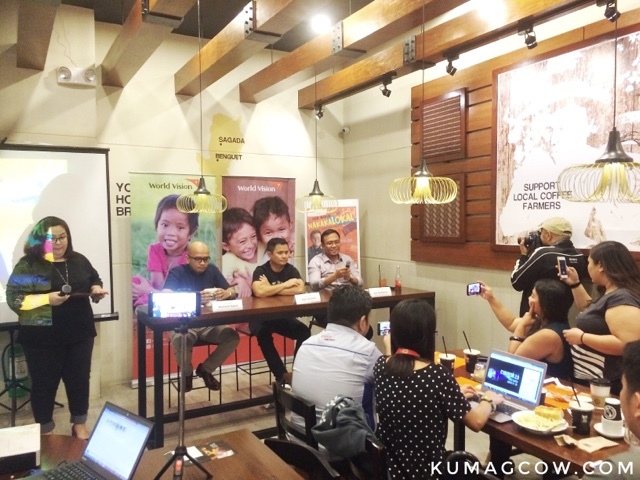 It geared me more to partner with them even more (World Vision) after that. 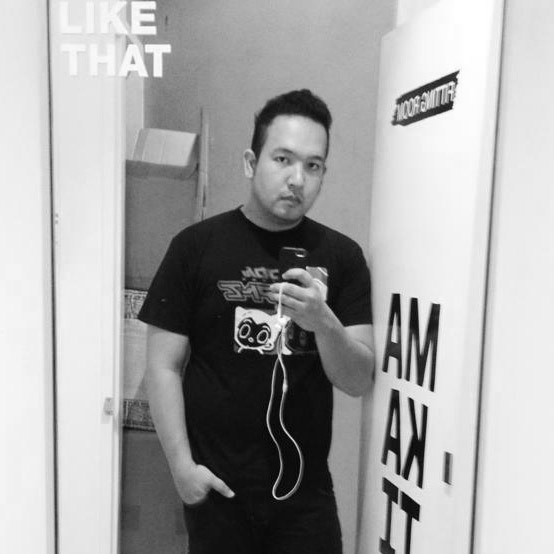 I will be singing an all Filipino repertoire and I am singing some new songs, so I am equally excited for that. I also have a new album, I am very proud of it. 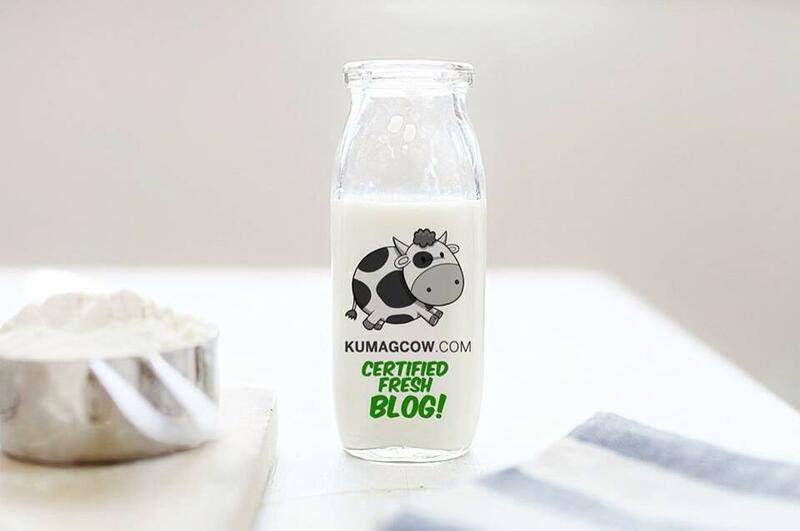 I am excited to know what God has planned for me." Richard Supat who is a former sponsored child gave a testimony and said "My sponsors were from around the world and I felt anchored to pursue my goals and dreams. I finished college, I met my sponsors and we didn't even talk, we just met and cried. I graduated with an MBA from La Salle and when we were at school, I told them I was one of the products of the organization. This organization isn't make believe, I have a better place to live in and finished school because of them." Ogie Alcasid's 50th Birthday concert "NAKALALOKAL" will happen at the Kia Theater on August 25, Friday at 8pm. Tickets are on sale via Ticketnet http://www.ticketnet.com.ph or call 911-5555 or email them at ticketnet@ticketnet.com.ph. You're not just going to watch a nice man do his songs, but help a very worthy cause that helps kids recover from exploitation, which is a sad reality because it still happens. Help Mr. Alcasid help the foundation and the kids!